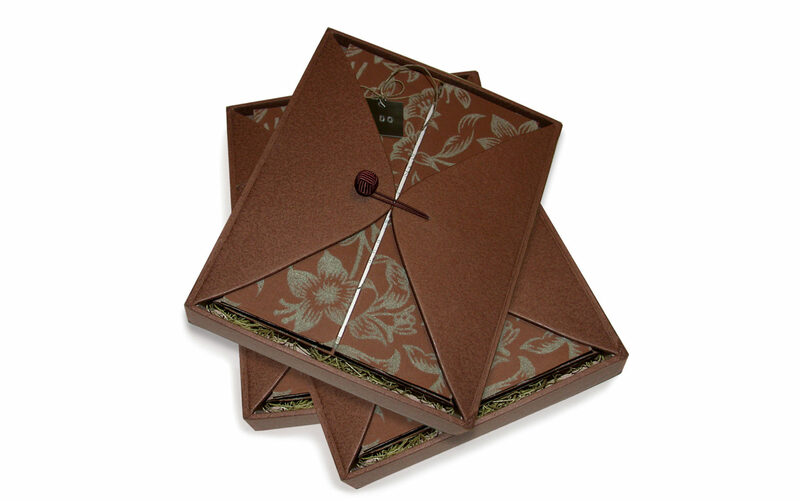 Custom-made paper-covered boxes with flaps and woven-button closures serve as the perfect nest for this invitation suite. 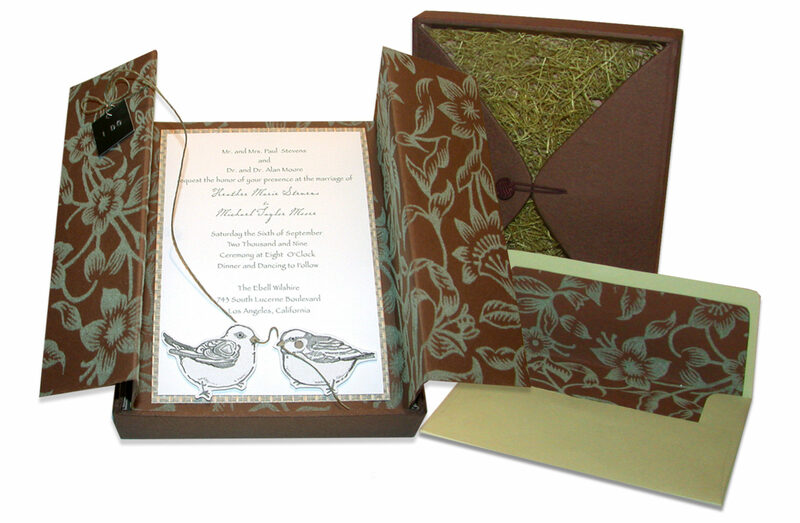 Handmade flock and grass mat paper are brought together to create this warm and wonderful announcement. 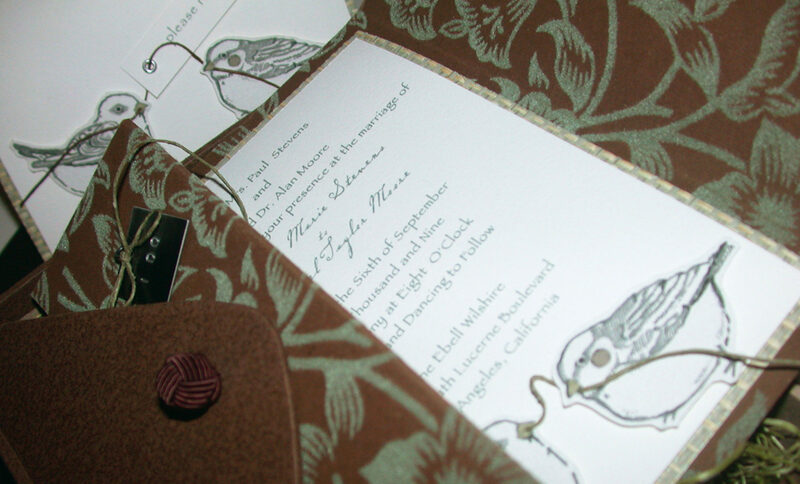 Hand-drawn bird illustrations are applied; then a length of green twine “ties” the elements together, connecting the lovebirds to a metallic “I Do” charm. The motif continues on the response card, which slips inside a matching lined envelope.